Notes: Another day at home trying to recuperate from my bug. 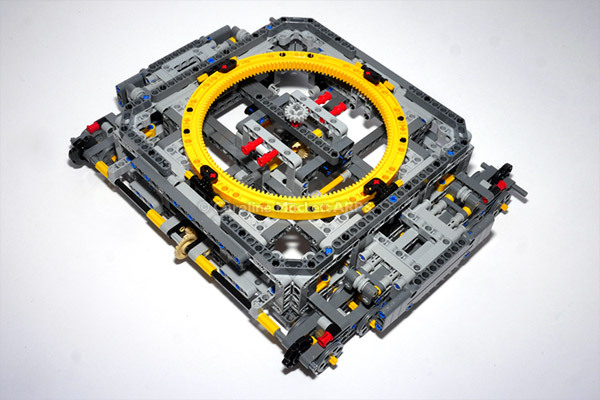 I finished off my Bucket Wheel Excavator LEGO Technic set – and was pleased that all the motorised bits worked as they should! Result. 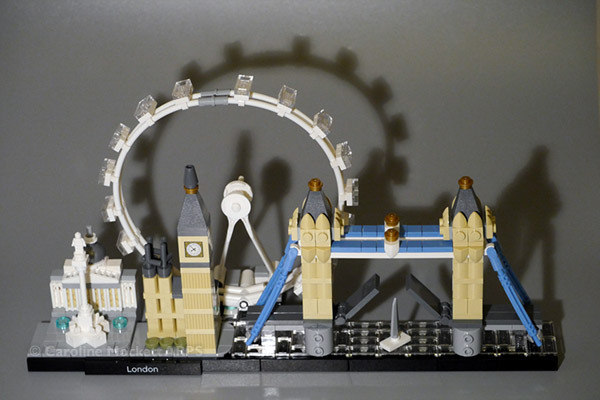 Notes: On Monday I visited the LEGO store in Leicester Square while I was on the way to meet my friends. 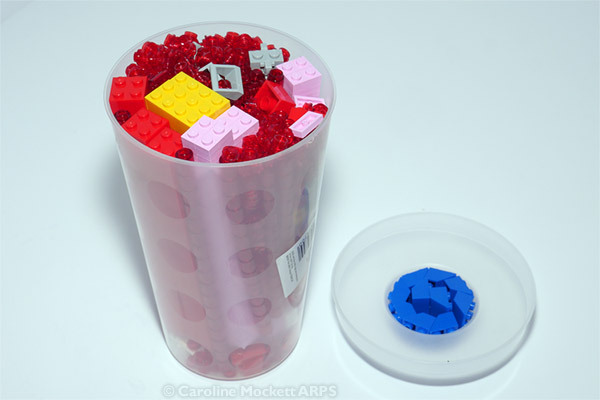 There’s a Pick-A-Brick wall there where you fill up a plastic cup with as many bricks as you can cram in, all for a fixed price – and they usually end up much cheaper than if you bought the specific bricks individually. Trouble is, there is a limited selection at each Pick A Brick wall, so you have to make the most of what they have. There are also numerous videos on YouTube about how to most economically pack the cups. The amateurs just scoop things up at random, but if you make stacks of bigger bricks and then pack the gaps with smaller stuff, you can cram an amazing amount in one pot – all perfectly legally! Anyway, this was my haul for the day – I’m pretty pleased with the result. 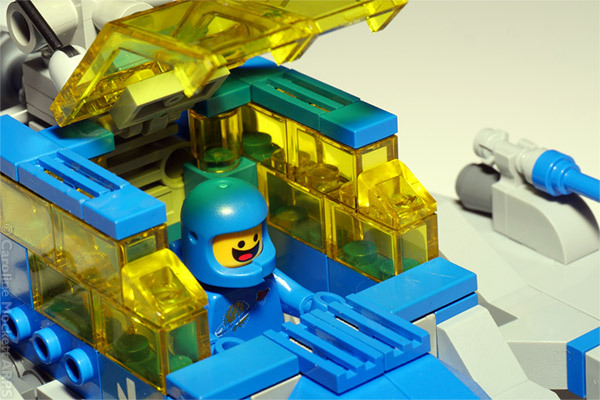 Notes: The other day, you saw Benny piloting his big spaceship, a commercially-available model. I’ve been working on a new little ship for him this time something of my own devising (It’s my first Spaceship MOC – My Own Creation). Looks like he approves! 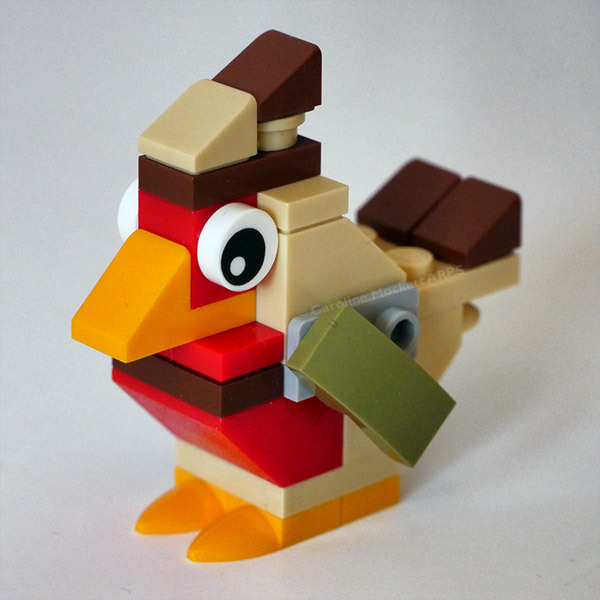 Notes: This cute little Robin was today’s model in the LEGO Advent Calendar. He’s rather smart, and has his beady eye on me. 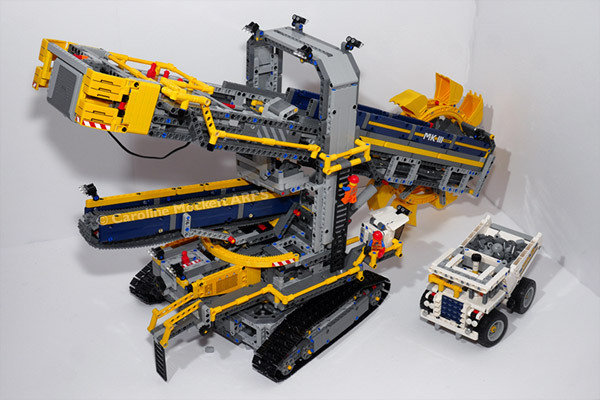 Notes: I’m trying my hand at building a large LEGO Technic model. 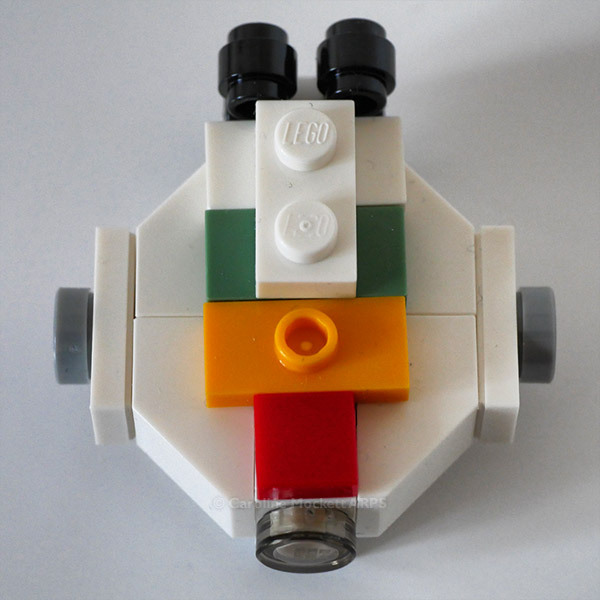 It’s rather complicated with lots of internal gearing and gubbins which will be hidden eventually. However, it’s teaching me a lot about the mechanics of how things work. Never stop learning!